Unevenly or overloaded knee joints can cause osteoarthritis, or cause your osteoarthritis to worsen. Learning how to walk in a different way can correct the loading problem and reduce your hip and knee pain. This approach was studied in patients with inner, or medial compartment osteoarthritis – which is ten times more common compared to other forms of knee osteoarthritis. The medial knee compartment carries a much higher load compared to the outside (lateral) compartment. The inside knee compartment usually experiences a force (or loading) that is 2-3 times higher than the lateral. Researchers are studying ways of shifting some of the load of the medial compartment to the outside one. The outside compartment almost constantly has healthy cartilage. By changing the way you walk you can get help your cartilage in the compartments to start wearing evenly. 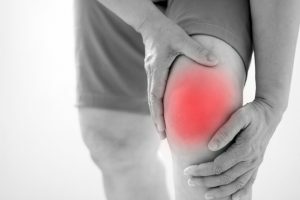 A study done in 2011 (Journal of Biomechanics, Pete Shull, PhD, assistant professor in the School of Mechanical Engineering at Shanghai Jiao Tong University in Shanghai, China) looked at nine patients with medial compartment knee osteoarthritis and self-reported pain. The participants walked on a treadmill while they were wearing equipment for measuring the forces on their knees and health professionals gave feedback on how the patients were walking. With that feedback, the patients learned how they can shift weight to various parts of their knees. Their scores for function and pain improved by 32 per cent and 29 per cent respectively. Chiropractors can help patients to get movement retraining. Your chiropractor can help you walk symmetrically where you start spending equal time on both of your legs, ensuring that your trunk is over your legs and not swinging side to side. You lose efficiency when you limp and this can make your knee and hip pain worse. The most important thing is practising the new movement because once your chiropractor has taught you a new and improved way of walking, your pain should start to be relieved and you can start enjoying walking again. Endorphins (endogenous opioid neuropeptides plus peptide hormones in your body) are one way you can limit your response to knee and hip pain. Endorphins interact with the receptors in the brain and reduce your perception of pain. Walking regularly and consistently releases endorphins and can help limit your pain and also improve your mood. As you continue increasing your time and distance walked, the benefits you notice should continue improving. If walking is painful, strenuous or too difficult, your chiropractor will advise you to begin with one of the low impact exercises. For instance, rowing machine, cross trainer, an elliptical machine, riding a bike or walking in a pool. If you are concerned about the pain you experience when walking speak to your chiropractor. The benefits of walking regularly are well known; you’ll notice the benefits when you start. Keep in mind that if you want to go on getting the most benefit that comes from walking, you should gradually increase the speed, distance or the time you spend walking as recommended by your chiropractor. Bradford House Chiropractic offer a caring and experienced service. Contact us today on 01962 861188. This entry was posted in chiropractic and tagged back pain, chiropractic care, lower back pain. Bookmark the permalink.